What is Aviation Fuel and What types of Aviation fuel use in Airplane? 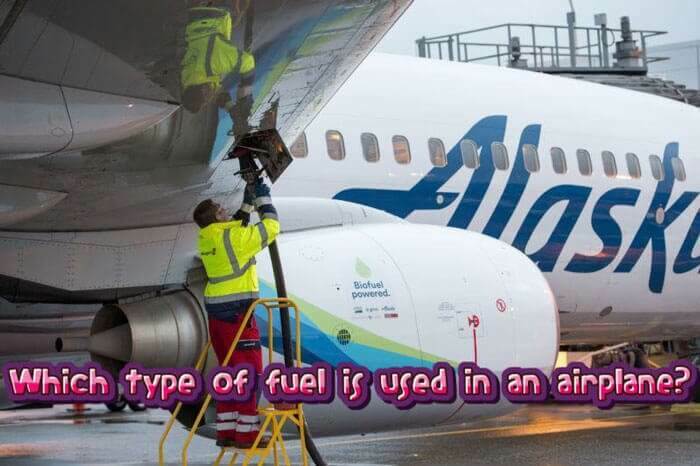 Which type of fuel is used in an airplane? There are different types of fuels used in the aviation industry and the fuel to be used will be based on the type of engine installed in the aircraft. The fuel used in commercial aircraft and in fighter aircraft is kerosene based, where complete purified kerosene is used and in addition to that some additives like antifreeze, antioxidants, hydrocarbons, metal deactivators because these additives enhance the material of the gas turbines from corrosion, freezing at higher altitudes and from other damages. Generally, in the aviation industry, there are 3 types of fuel in use. Below is the Aviation fuel table which gives you grade, color, and usage of different aviation fuels. It is a similar kerosene type of fuel produced to an ASTM specification and normally only available in the U.S.A.There is a very little physical difference between Jet A (JP-5) fuel and commercial Kerosene. Jet A was developed as heavy kerosene having a higher flash point a higher freezing point than normal kerosene. They have e low vapor pressure and flashpoints are between 110 deg F and 110 deg F. What happens if you put aviation fuel in a regular car? JET A1 is a kerosene grade of fuel suitable for most turbine engined aircraft. It has a flash point minimum of 38 °C (100 F) and a freeze point maximum of -47 °C. It is widely available outside the U.S.A.
Jet B is called wide-cut fuel because it is a blend of gasoline & kerosene fractions. Jet B has freezing point, around -60 deg C & its vapor pressure is that higher than that of kerosene & lower than that of gasoline. This fuel is mostly used in cold weather regions. It was a pure kerosene fuel with a high flash point and a freezing point of −60 °C (−76 °F). The low cold point required is limited availability of fuel and it was soon eliminated by other “wide cut” jet fuel, which was kerosene-naphtha or kerosene-gasoline mixture. The purpose of JP-2 was to produce an easier comparison of JP-1 as it had high freezing but it was not widely used. JP-3 was more volatile than JP-2 and intended to improve the production, but due to its instability, high vapor loss was lost in the service. It was a flammable transparent liquid with clear or straw color and the smell of kerosene oil. It was easily evaporated and floating on water. Although it had a low flash point (0 ° F (C18 ° C)), a burnt match was dropped in JP-4, the mixture would not ignite. JP-4 Frozen at C76 ° F (C60 ° C), and its maximum water temperature was 6,670 ° F (3,688 ° C). is a yellow kerosene-based jet fuel P-5 is a complex mixture of hydrocarbons, containing alkanes, naphthenes, and aromatic hydrocarbons and has a high flash point (min. 60 °C or 140 °F). Its freezing point is −46 °C (−51 °F). It does not contain antistatic agents. This is a type of jet fuel that has been developed for the General Electric YJ 93 Jet Engine of XB-70 Valkyrie Supersonic Aircraft. JP-6 was ideal for the high-altitude bomber, which was similar to JP-5, but with low freezing point and better thermal oxidative stability. Freezing point is 65-point F.
This was developed for the twin Pratt & Whitney J58 Turbojet/ ramjet engines of the SR-71 Blackbird and has a high Flash Point to better cope with the heat and stresses of high-speed supersonic flight. JP-8 was widely used and used by the U.S. military. It is similar to the commercial airplane jet A1, but with the addition of corrosion barrier and anti-icing additives. Freezing point, Maximum: -47 degrees Celsius The flash point is 38 degrees Celsius. Avgas is used in small piston-powered aircraft within the general aviation community. Mainly activities like the private pilot, flight training, flying clubs, and crop spraying. Piston engines work using the same basic principles of cars as spark ignition engines, but they are more required to perform. Generally, cheaper than the Mogus Avagus (Europe), which is one of the pilots who want to use those fuels. Even some manufacturers advise users to use Moga mainly in their engines, but avgas can be used. The Rotax four-stroke model (912, 914) will run happily on Avas, but due to high-powered material oil change should be done every 50 hours and the mixture should be mineral or semi-synthetic.